Are you even a mother if you’re not constantly yelling at your kids for something? Getting mad at your kids or spouse is one thing, but postpartum rage is something entirely different. Mothers who find themselves suffering from episodes of postpartum rage may feel like they are just unable to handle the everyday challenges of motherhood. Or perhaps they believe it’s a sign of trouble in their marriage and relationships. Maternal mental health disorders can have a tricky way of making mothers feel like they are failing. And postpartum rage is one of the scariest tricks yet. As the term suggests, it is classified as feelings of uncontrollable anger in a mother who has recently given birth. Usually set off by something insignificant (but also triggered by valid reasons), episodes of postpartum rage come on very suddenly and escalate quickly. They are generally out-of-character for most women and can be especially frightening to those around her. In most cases, women do not get violent, but because postpartum rage is uncontrollable, it can manifest in violent ways such as throwing or breaking things, swearing, screaming or threatening to do something worse. Postpartum rage stems from maternal mental health disorders such as postpartum depression, anxiety or OCD. Similar to anger management problems, postpartum rage is caused by an underlying issue that makes it difficult to control feelings of anger. It’s called postpartum RAGE for a reason. It’s more than just anger or getting upset over something valid. It’s not deep-sighs of frustration or disappointment. It’s not “mom’s upset because we didn’t put our toys away.” It’s full-blown, blood-boiling, fist-clenching rage. How do you know if you’re suffering from postpartum rage and not just a hot temper? Anger is actually a very common symptom of depression. 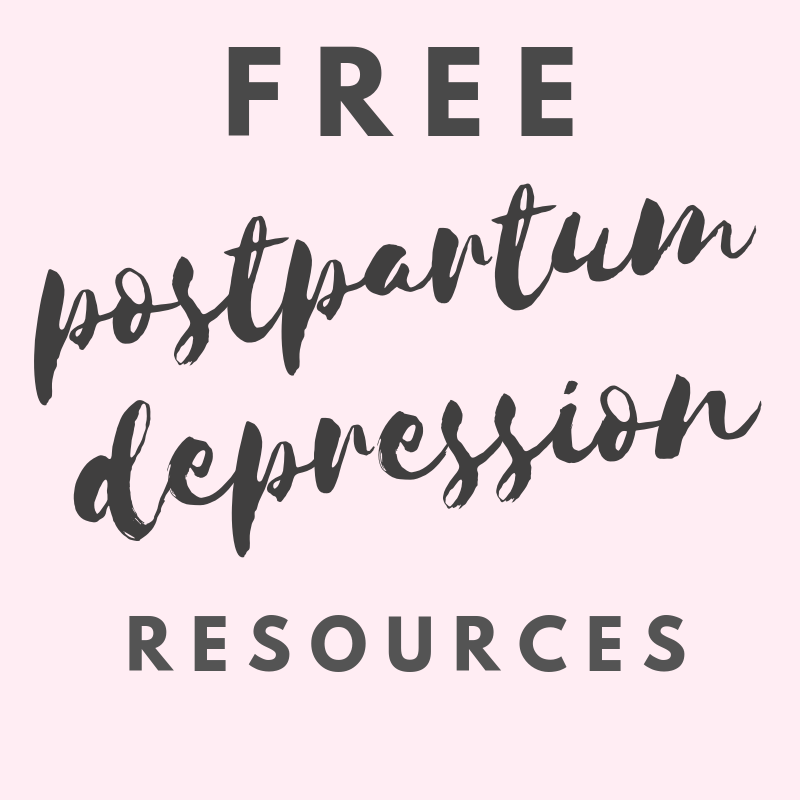 Postpartum depression brings with it a lot of guilt and feelings of self-loathing or hatred. Mothers with postpartum depression tend to bottle up a lot of these unpleasant feelings. All of those bottled up emotions can, and will, eventually come out, often in the form of postpartum rage. This is perhaps the most common combination of postpartum rage. Postpartum anxiety causes a mother to be worried, overwhelmed, and feel out of control, which easily opens the door to postpartum rage. Postpartum anxiety can create situations of distrust and paranoia, which feeds the postpartum rage. The more situations a mother is placed in where she feels out of control or overwhelmed, the more opportunities postpartum rage has to prey on her soul. What’s worse is that simply knowing she is prone to postpartum rage can make her mental state much worse. Postpartum Obsessive Compulsive Disorder (OCD) is similar to postpartum anxiety in that it leads a new mother to worry quite regularly. The difference is that with PPOCD, mothers become obsessed about doing something to the point where they can barely function if it isn’t done. For some women, it’s obsessively cleaning the house, washing their hands or bathing baby, but it can be any kind of obsessive behavior. If a mother is unable to perform these tasks, it can lead her into a state of postpartum rage due to a loss of control. Stress is known to have all kinds of detrimental effects on the mind and body. Many mothers who suffered from PTSD after a traumatic pregnancy or delivery can develop postpartum rage. This can stem from any resentment they may hold toward their experience. They may feel sorry for themselves and be unable to move past the traumatic events. Or, mothers with PTSD may feel hostile towards the doctors, nurses or anyone else who she believes may have contributed to her bad experience. As soon as you realize that you’ve lost control – walk away. It’s important to tell your spouse or partner what you’re going through so that they can intervene if necessary. Find or create a safe space in your home that you can escape to. Take deep breaths, do some yoga, have a drink of water, get some fresh air. Do whatever you need to do in order to calm yourself down and regain control again. Sniffing some calming essential oils are a great way to calm yourself down quickly. Anger is an important emotion and while you want to keep the postpartum rage under control, it’s imperative that you find another way to express it. Exercise is a great way to burn off all the pent up energy, or you could focus it towards something creative. Postpartum rage can get out of control very quickly. Don’t wait for someone to ask you if you’re alright. Make sure that your spouse or partner knows to get involved if you lose control, even (and especially) if it makes the rage worse. There are also counselors, online therapists and support groups available for you to talk to. Since postpartum rage is a symptom of a bigger issue, it’s important to establish a treatment plan to get your maternal mental health back in good shape. Supplement your existing treatment plan with stress-relieving practices like yoga, acupressure or aromatherapy. Keeping track of your moods can help you to avoid an episode of postpartum rage. By tracking the fluctuations in your mood on a regular basis, you can start to notice any specific patterns or triggers that cause you additional stress. Download a printable monthly mood tracker and keep it somewhere easily accessible so that you remember to track your mood each day. Stop holding grudges against people who have hurt or offended you. Let things that have happened in the past remain there. Dwelling on a bad situation will only encourage that rage, so learn to just let it all go. Practicing yoga or meditation, or writing things out can be a great way to release those feelings and let them go. Anytime you feel like bursting out in a fit of rage, just start laughing instead. Yes, you will look like a crazy person – white walls, straight-jacket, insane asylum crazy person. Laughter can release that built up energy in the same way that rage can, but it’s less frightening and makes you feel something positive instead. Laughter really is the best medicine. Stress is a big trigger for episodes of postpartum rage. Try to avoid being put into stressful situations. If it’s the bedtime routine that stresses you out, then maybe it’s time to start sleep training – or have someone else put the kids to bed. Stay away from online mom groups that discuss controversial topics and choose a support group instead. You may need to re-evaluate your job, financial situation and/or relationships to see what is causing your stress and find ways to make it better. Postpartum rage can be a terrifying thing to deal with. It’s often misdirected towards spouses or children and can have an effect on those relationships. It’s important to understand that postpartum rage is a symptom of something bigger and make sure that your loved ones know that as well. The more everyone understands about maternal mental health issues, the easier it will be to recover from them and the less damage it will do to our lives. If you find yourself suffering from regular outbursts of postpartum rage, make sure to speak to your doctor about them, even if you are already taking anti-depressants or some other form of treatment. Certain medications can make postpartum rage worse, so you may need to experiment with what works for you.